Develop with Pragmatux on the Inforce Computing IFC6410 platform, based on the Qualcomm Snapdragon™ 600 APQ8064 system-on-chip. Develop with Pragmatux on the DragonBoard 8060A platform, a development board for the Qualcomm Snapdragon S4 APQ8060A system-on-chip made and sold by Intrinsyc and discussed at the myDragonBoard community site. 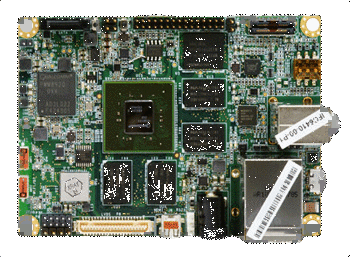 Develop with Pragmatux on the DragonBoard 8060 platform. Made and sold by Bsquare and discussed at the myDragonBoard community site, the 8060 is development board designed around the Qualcomm Snapdragon S3 APQ8060 system-on-chip.